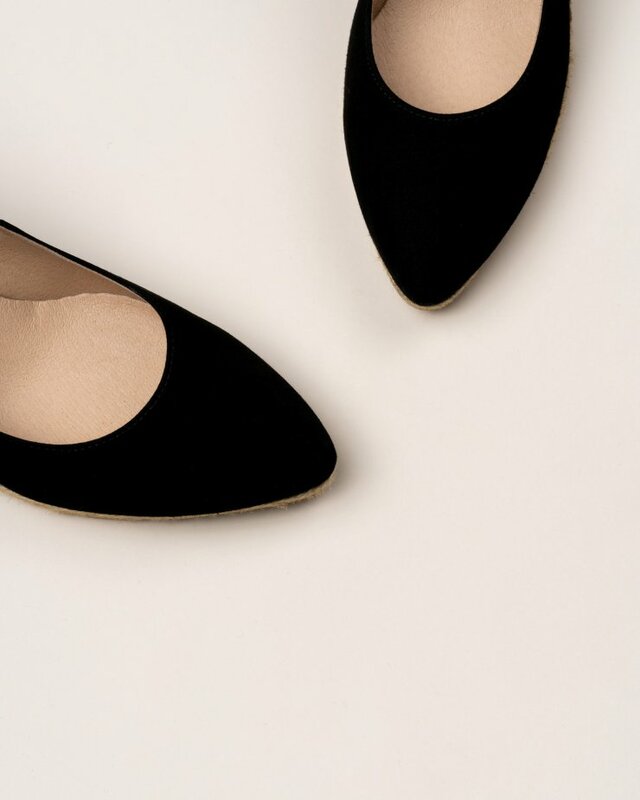 Black tweed espadrilles. Closed heel with lateral buckle clasp. Multi-coloured jute wedge with stitching at the front.